AUSTIN – Today, the Latino National Republican Coalition of Texas joins a rising tide of Americans opposing the Obama Administration's decision to mandate the Catholic Church's compliance with procedures it views as immoral and contrary to its beliefs. "This direct attack on religious liberty was the very reason the First Amendment to the Constitution was ratified. We stand with the Catholic Church and its decision to oppose this unjust mandate. We will not accept any compromise on this issue, because the rights of the people are not up for compromise. This great nation was founded on the principal of religious liberty, and frankly it is alarming that the Obama administration would even attempt to trample on such fundamental rights." said Artemio Muñiz, the organization's State Chair. Last week, the U.S. Department of Health and Human services issued a mandate that all Catholic employers provide health care plans which cover abortion services, sterilization and contraception. Such procedures are contrary to the teachings of the Catholic Church and direct violations of its Code of Canon Law (see Canon 1398, 1055, 1601). This mandate is a major infringement on the religious liberty of American Catholics and Americans of other religions faiths. "This ruling does not solely affect the Catholic Church, but is a continuation of the Obama administration’s assault on all religions and people of faith. The Constitution was drafted to protect the people from acts of religious coercion by the government. The Obama Administration’s attempt to coerce the Catholic Church to participate in acts it has deemed immoral should illustrate to every American why they must remain vigilant in defending our basic Constitutional rights. Sometimes those who have sworn an oath to defend our rights are the very people who attack them. This type of anti-religious mandate cannot prevail. This is not a partisan issue, it is an American issue." said Mr. Muñiz. 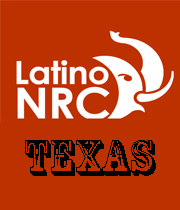 The Latino Republican National Coalition of Texas is a nonprofit organzation created to recruit Hispanics into the Republican Party. To learn more about the Texas LNRC visit us at www.lnrctexas.org.